Thanksgiving is right around the corner, and Hanukkah and Christmas follow quickly on its heels. For many of us, the holidays are the toughest season to manage in terms of stress, and staying on a healing diet. Between the parties and the pressure, it's easy to get off track. The problem with autoimmune disease is that going off-track can lead to a flare that can ruin your holiday season. We're here to help! 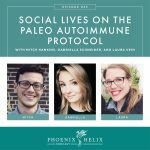 Today I'm joined by Anna Lebovich, the creator of the Autoimmune Paleo Recipe Group on Facebook, and Laura Scaviola, the blogger behind Mangia Paleo. All three of us have autoimmune disease and have been paleo through the holidays before. We're here to share our best tips for making your holiday healthy, happy and delicious! Anna Lebovich is a stay-at-home-mom with Hashimoto's and creator of the Autoimmune Paleo Recipe Group on Facebook, with over 13,000 members. 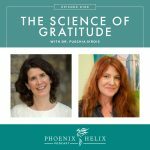 When her autoimmune disease was at its worst, she experienced severe fatigue, hair loss, heart palpitations, depression, back acne, and weight gain. Now, all of those symptoms have either disappeared altogether or diminished greatly. Both Laura and Anna combine diet with medication to feel their best. It isn't always one or the other. Anna follows a personalized version of the AIP, whereas Laura follows a regular paleo template. When it comes to autoimmune healing, there's a wide range of what works for each individual. Batch cook and prepare meals in advance. That way, after a busy day of shopping or holiday events, you don't have to cook when you get home, and there's less temptation to “cheat” with convenience foods. Prioritize sleep. Overnight is when your body can heal and regenerate from the stress of the day. Start unwinding an hour before bedtime. Get shopping done early, to avoid last-minute pressure. Shop online and avoid the crowds and save time. Consider hosting the holiday meals at your house. That way, you're in charge of the food. If you're invited to a party: (1) bring some food with you that you know you can eat, or (2) eat ahead of time at home, and then simply grab a glass of water or a paleo-friendly drink at the party; if you have something in your hand, the other guests don't tend to notice you're not eating. Manage your stress: If you have a very busy week, plan some downtime before the next batch of commitments. Some people like Laura can handle the occasional non-paleo food, so long as the stress is managed well. Restaurant advice – staying paleo while traveling. Navigating children's parties at school and at friends' homes. Anna brings gluten-free pizza and homemade dessert, so her children can eat “normal” food that won't cause a food intolerance reaction. Eating differently can draw questions and attention. While it can feel uncomfortable sometimes, it can have an educational and inspirational effect. We've all had people “go paleo” after seeing our healing success. While the goal isn't to try to change anyone, there are benefits to being a role model for a different way of living and healing. Resource: Podcast Episode 69: Healthy Deviance. Tips for Thanksgiving: (1) The more vegetable side dishes, the better. That way there's something for everyone, and if there are a few you can't eat, you will hardly notice. (2) Turkey is easy to cook paleo. 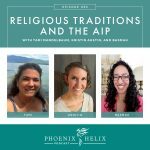 (3) When it comes to stuffing, gravy, pumpkin pie and other traditions, AIP bloggers have you covered. Here's a Thanksgiving Recipe Roundup, with over 90 recipes! (4) As long as the food is delicious, friends and family enjoy a paleo Thanksgiving, and many won't even notice the difference. Tips for Hanukkah: (1) Paleo AIP desserts in place of the traditional jelly doughnuts (2) Brisket is easy to do Paleo (3) Here are 2 delicious latke recipes: Paleo Carrot Scallion Latkes and AIP Sweet Potato Latkes. Tips for Christmas: (1) For cocktail parties, paleo AIP appetizers offer a wide variety of delicious options. (2) Your family might choose to maintain the tradition of some recipes that you can't eat, but as long as there is plenty of paleo food alongside, it's a fine balance. (3) Or your family might start a new tradition. Laura's Italian American family exchanged a traditional pasta course for homemade soup, which they were able to modify for a wide variety of diets, starting with broth and vegetables for everyone, and then adding meat and/or pasta for different family members. (3) You can still have sweets for the holidays, even on a healing diet. Here's an AIP Christmas Cookie Recipe Roundup with over 50 recipes. Tips for managing stress: (1) Take time to relax, even if it's just a short time each day. (2) Make time for joy – do something you like to do. (3) On the days when you feel you have no time at all, it's more important than ever to find 15 minutes for yourself. (4) Music can be therapy; whether you're in the car or at home, use the power of music to calm you or energize you, whatever you need. (5) Don't be afraid to ask for help. (6) Realize that “No” is a complete sentence. It's okay to set limits on what you can and can't do. (6) Remember that stress is a flare trigger for people with autoimmune disease. (7) Resource: 31 Days of Holiday Self-Care. Prioritize nutrient density: Staying healthy is a combination of diet and lifestyle factors. During the holidays, stress is hard on the body, so boost your reserves by eating lots of healing foods: organ meats, fermented foods, wild-caught seafood, bone broth, a wide variety of veggies, etc. Fun paleo story: Anna's children have adventurous tastebuds and will eat everything from organ meats to crickets. Her son is a fan of the TV show Bizarre Foods and he wants to be a food critic when he grows up. Eileen, on the other hand, was a picky eater as a child. We each talk about our childhood eating habits, and tips for adjusting to new food textures and flavors. 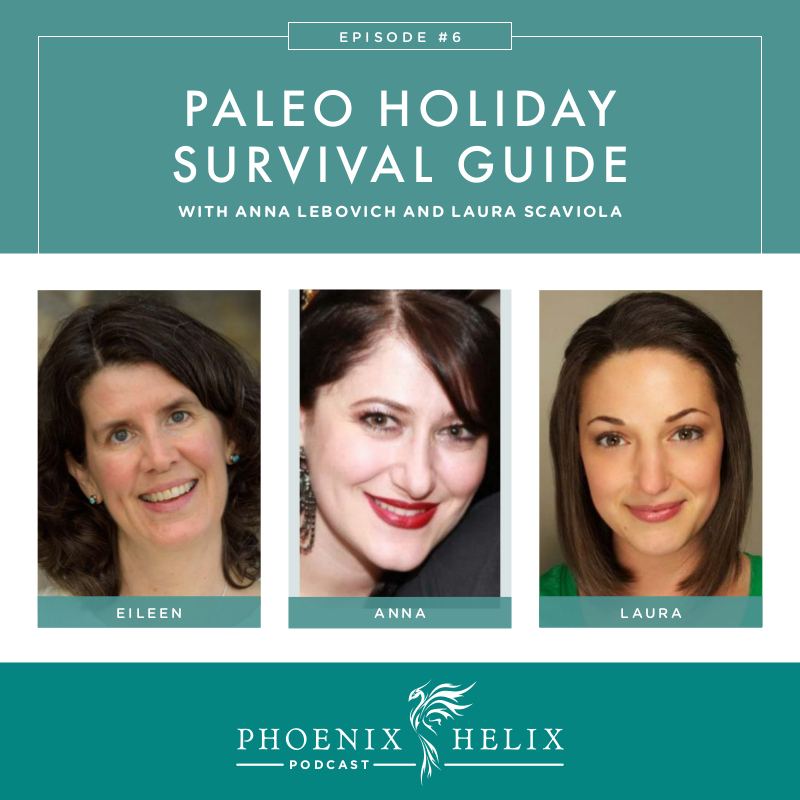 Remember you're not alone: There's a whole paleo community of people navigating the holidays, too. 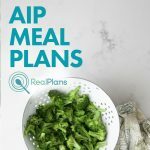 Reach out if you need support: The Paleo Mom Community Website; The AIP Support Group on Facebook. If you fall off the wagon, forgive yourself, and get right back on. Don't use it as an excuse to binge the whole season. It's much easier to recover from a day of indulgence, than months of poor choices. You can follow Laura through her blog, Mangia Paleo. And join Anna on Facebook in the Autoimmune Paleo Recipe Group.